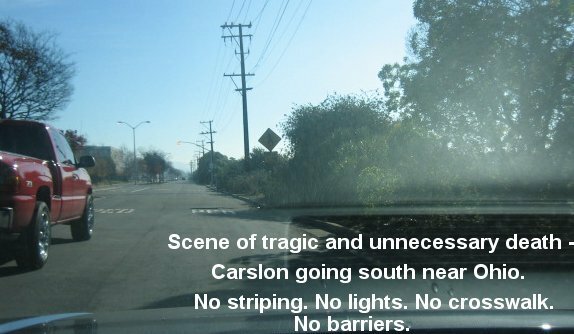 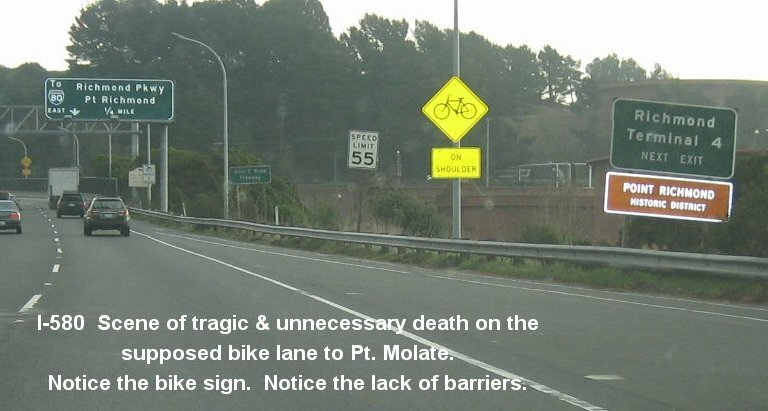 Read the Contra Costa Times Article "Bike path along I-580 seen as 'death trap' for cyclists"
Location of Laura Casey's shocking death in pitch black darkeness. 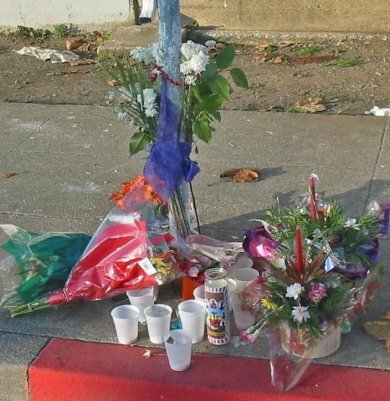 News coverage reverberated across the USA. 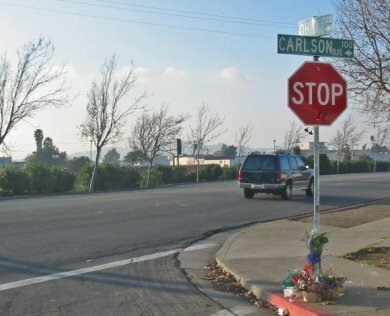 The approximate spot where Laura Casey was killed is marked with a black circle. 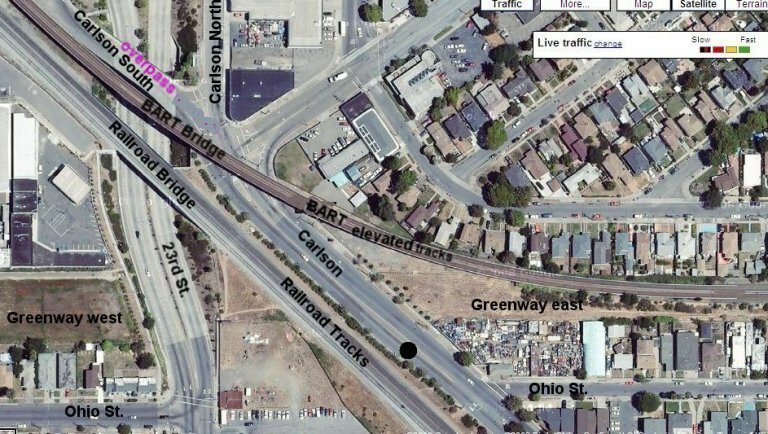 Laura was travelling south on Carlson Blvd.from 22nd St. She traversed the Carlson overpass (shown in magenta), continued under the Bart Bridge, and was approaching Ohio Street.